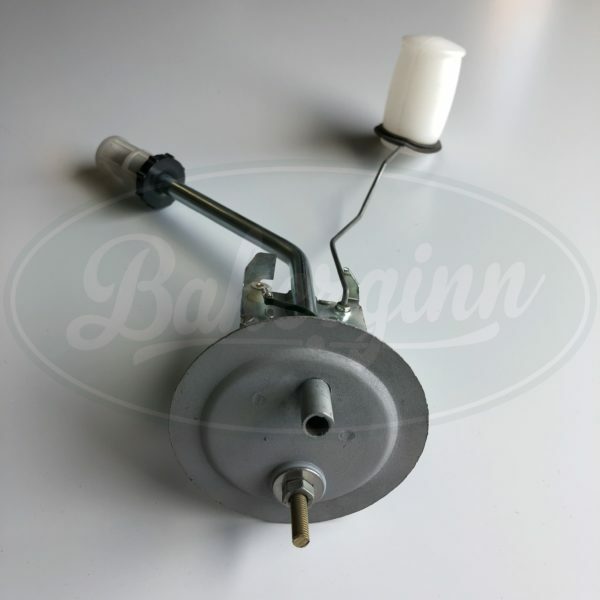 Remanufactured Mk2 Ford Cortina Fuel Tank Sender. Compatible with all Mk2 Series 1 tanks, as well as some late/66Mk1 Cortina models. Please ensure you don’t have a Series 2 tank before purchase. For reference, the S2 units feature a larger diameter faceplate (approx 90mm) and do not require a locking ring. I’m afraid unlike the other units we sell, we are not able to supply the seals or locking rings for these, nor are we currently familiar with a UK supplier. It may also be worth noting that some Mk2 tanks featured a baffle located at the entry of the tank. Since these units of ours are aftermarket, there is a chance the float arm will not clear the baffle without modification to the tank. Please check first before purchase to prevent any issues.